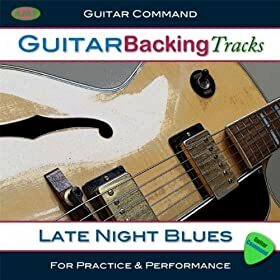 12 Bar Blues in A Tabs in Guitar Pro Format This is a 12-bar blues progression I tabbed out for my students, using a blues shuffle riff through most of the song, and then a cool turnaround at the ending. This is not technically a 12-bar blues, but it's in the same style. 3 Lenoir and Atkins, from the Sting album Bring on the Night. 4 Pink Floyd, 'Seamus' from the album Meddle. 5 Rory Gallagher, 'One Hundred Percent Alcohol'. 6 Nick Gravenites and Janis Joplin, 'Ego Rock'.